Camber Adjustment -2.5deg to +1deg relative to stock arm. 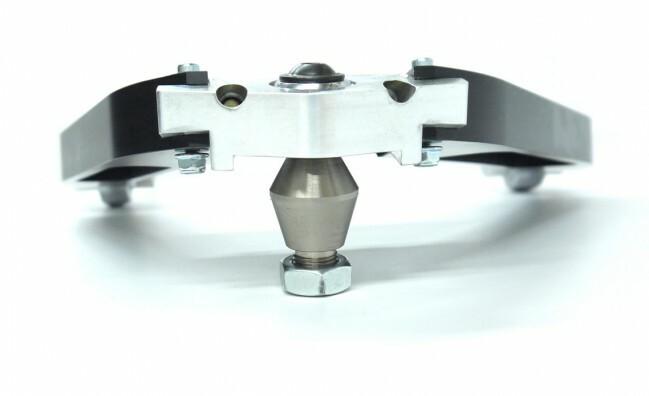 Our SPL PRO v3 front upper arms allow for camber adjustment for the front of your 350Z and G35. Our shim stack system won't slip, and allows for quick, easy and repeatable camber adjustment that can be user adjusted for street/track dual duty use, or for fine tuning at the track. CNC machined from billet T6061 aluminum, our arms are lightweight yet stronger and stiffer. USA made FK racing bearings feature a teflon liner to provide quiet operation, lower friction, smoother articulation and eliminates bushing deflection under load. The liner is also self-lubricating and self-cleaning, offering robust reliability for street and track use.